Men are visiting spas in greater numbers than ever before. But as creatures of habit, they tend to choose therapeutic massages over something more exciting. Spa aficionado Mark Smith says it’s time to upgrade the spa experience and embrace inner wellness. The number of men visiting spas is increasing worldwide: according to Conde Nast Traveler magazine, 35% of spa goers are male, while SpaFinder Wellness 365 believes it’s more like 47%. Most men realise the benefits of a massage, but it’s time we considered the wider physical and emotional benefits of other treatments, too. What about a facial, or a fitness regime reboot? Or maybe a spa break that focuses on gut health? There's no reason why being a man should exlude you from programmes where you learn to breathe properly or improve your outlook on life. So what is on offer for male spa goers? Massage remains the most popular spa treatment for men, particularly when it comes to sports and deep tissue massages. While these are great treatments, there is so much more available. Spas offer a wealth of therapies that can help relieve many of the issues relating to our hectic modern lives; before you head to the doctor or reach for over-the-counter pain relief, why not see if there’s an answer on the spa menu? If a massage is definitely what you’re after, why not try something a little different, like a soothing, calming Lomi Lomi treatment? Inspired by the tropical islands of Hawaii, this massage uses long, flowing strokes to relax the muscles, relieving tension in an instant. For something more adventurous, take to the water with a Watsu treatment, which combines massage with bodywork – both in and under the water. It’s not as odd as it sounds, and the feeling of weightlessness allows your therapist to conduct a wider range of movements and stretches than on a treatment bed. Try this at the Akasha Holistic Wellbeing Centre at the Café Royal in London or, for a once-in-a-lifetime experience, head to Iceland’s Blue Lagoon to try Watsu in the warm waters. If nothing else, you’ll win brownie points with your significant other – and we won’t even take credit for it. If you enjoy a facial, then you’re already onto a winner in the spa world, with the majority of brands tailor-making facials just for men. 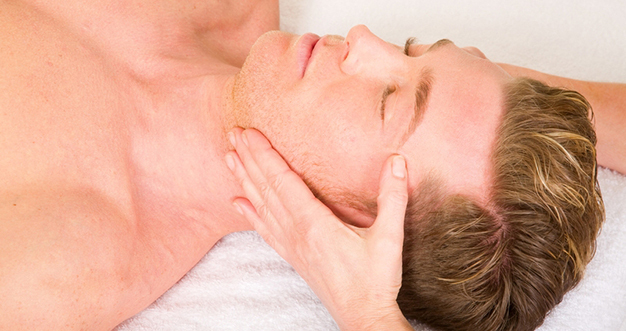 Elemis’ Skin IQ Facial for men calms and soothes the skin while minimising lines and wrinkles. You'll also get an in-depth analysis where you can learn what your skin will need in the long term, plus it's very relaxing. ThalgoMen’s Ocean Ritual treatment is designed for stressed male skin, combining energising marine active ingredients with soothing massage movements. The Refinery in London has gone one step further in response to a reported increase in men over the age of 50 turning to more high-tech anti-ageing and machine based-facials. It now offers CACI and Elemis BIOTEC treatments, while brands like Murad, Natura Bissé and Dr Perrricone have all created targeted facial products to renew and refresh tired skin at home. As stress and anxiety take centre stage in our lives, physical and emotional wellbeing has never been so important. 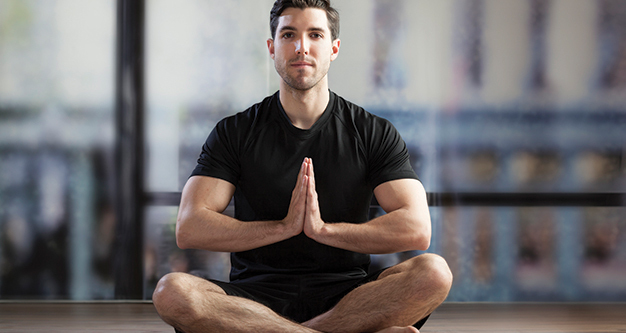 While embracing the concept of mindfulness is easier said than done, more men are discovering the benefits of focusing the mind, breathing and being present in the moment. Mindfulness is proven to reduce stress, blood pressure and anxiety, as well as boost mood and enhance productivity. An easy way to discover this concept at home is to download Headspace, an app which will guide you through the process. Its daily programme is a simple and effective tool for slowing down and taking time out from our hectic lives. Spas are now adding mindfulness to their menus, too: Neom has included visualisation and mindful practice into its new spa rituals, while Voya recently launched Mindful Dreams, a new spa therapy to promote sleep. 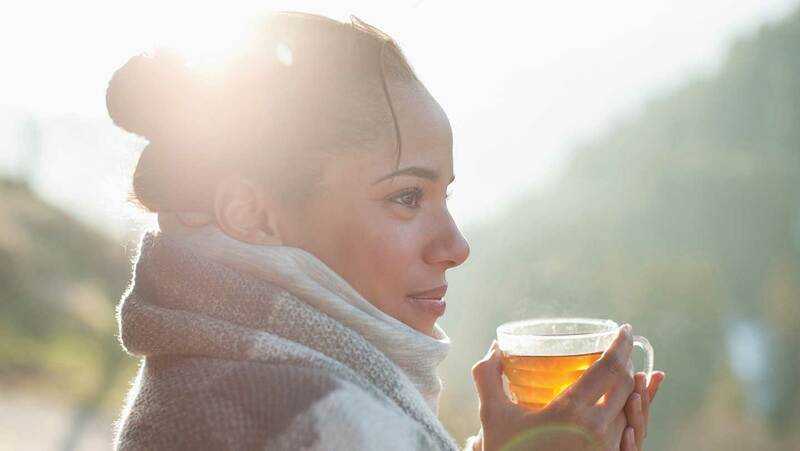 ESPA Life at Corinthia in London has developed a whole range of treatments that incorporate mindful-related exercise outside in the open air, in a bid to aid sleep, boost brain power and enhance fitness performance. 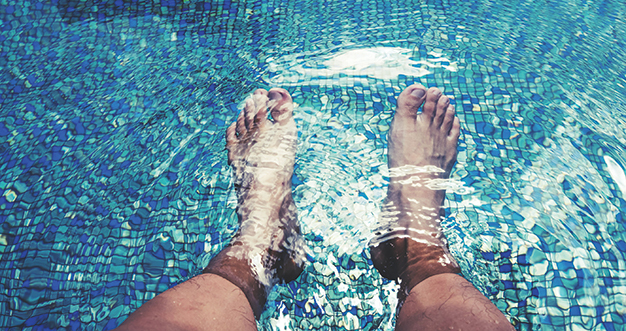 As more wellness-based therapies focus on the specific needs of men, the fitness and spa industries have come together to address both mental and physical health. LUX* Resorts has recently introduced the Wellness Concierge, an expert fitness trainer who conducts a tailored consultation to determine gait and flexibility before personalising exercise and treatment therapies based on the results. 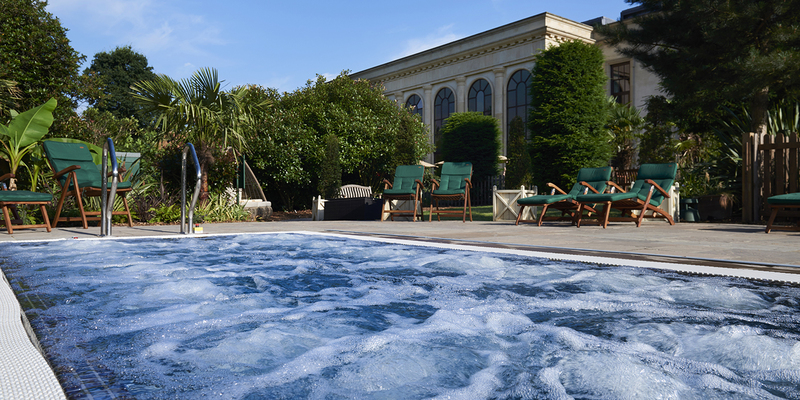 In the UK, Stoke Park is one of the best-equipped fitness spas around, with a high-tech fitness centre and swimming pool combined with treatment rooms – you may even find yourself working out next to an Olympian like Mathew Pincett or Denise Lewis. Further south, the Herb House Spa at the Lime Wood Hotel runs a range of fitness programmes combining speed and agility training, both in the spa and out in the fresh air. If the old adage is true, and the way to a man’s heart is through his stomach, then gut health is vital. Programmes are now being introduced to focus less on the pampering journey and more on getting results. The gut is often referred to as the second brain, with stress manifesting itself as pain and knots. Aside from stress relief therapies like massage and mindfulness, healthy eating and fasting are also highly recommended, the latter requiring commitment and dedication as it can leave you feeling light headed, irritable and lethargic. Push through it and the benefits can be life-changing. Across Europe, the Modern Mayr Method combines fasting, healthy eating and chewing to rest the gut and develop a new relationship with food. Offering many more benefits than weight loss, the Mayr Method is designed to promote long-term gut health rather than simply alleviate current issues. Check out Park Hotel Igls or Viva Mayr, both in Austria and both offering this world-renowned programme. Closer to home, Grayshott Health Spa has launched a seven-day health regime to restore gut health, combining exercise and healthy eating with massage therapies. The introduction of the barber’s chair is one of the most interesting developments in the male spa arena in recent years, made popular by the grooming needs of bearded Hipsters. While this might seem like a backwards step in encouraging a man to embrace his more feminine side, it certainly helps get them through the "For something more adventurous, take to the water with a Watsu treatment." 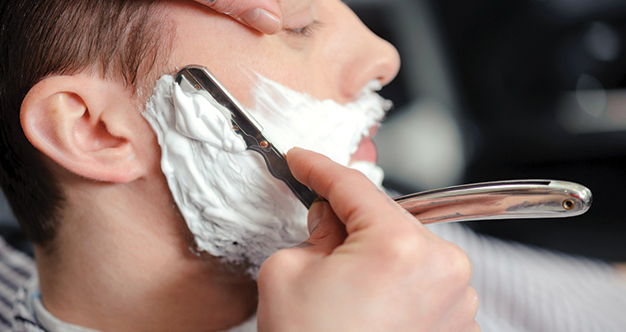 "Let's face it: there's nothing like a cut-throat shave to make you feel manly, particularly after a day in spent in a fluffy white robe and slippers. Barbering services are currently de rigeur in most high-end spas across the UK. 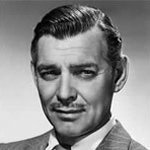 "door – and let’s face it: there’s nothing like a cut-throat shave to make you feel manly, particularly after a day in a fluffy white robe and slippers. Barbering services are currently de rigeur in most high-end spas across the UK, but have been popular in Europe for years. One of the first spas to offer this was in Frankfurt at Frankfurter Hof; soon afterwards, Resense partnered with London’s Truefitt and Hill to launch barbering services in its spas across Europe. The Bulgari Hotel in Knightsbridge now offers a full barbershop menu, seeing it as a natural progression from the boom in high street male grooming. Mark Smith, aka The Spa Man is a spa and grooming writer and a media consultant in the beauty and spa industry.